Colleges use terms that are hard to understand when you begin your college experience. Many of the commonly used words are explained below. These two-year degrees allow students to transfer to a four-year college or university with their general education requirements completed. An associate degree typically takes two years to complete and requires 60 credit hours. This degree is awarded to people going directly into the workforce after they graduate. Typically, these degrees apply to occupations requiring significant amounts of applied scientific and mathematical knowledge or occupations in which the individual works in direct support of a professional. Students with a cumulative 2.00 grade point average or above are in good academic standing. Students with a cumulative grade point average below 2.00 are placed on academic and financial aid probation. A two-year degree from technical or general studies programs. Certificates are awarded to students who successfully complete a course of study designed to meet a specific need and which has been designated a Certificate Program. These programs consist of no less than 15 credit hours and no more than 30. The College-Level Examination Program® (CLEP) lets students of any age demonstrate college-level achievement through a program of exams in undergraduate courses. Successful completion often results in college-level credit. NCC does not offer the CLEP exam, but will accept the CLEP credit if a student meets the minimum score. Contact the Registrar’s office if you have questions. Hands-on work experience in a field of study. Clinicals are a required part of some courses at Northwest Iowa Community College. Describes courses and is a contract between the student and Northwest Iowa Community College for programs, policies, and graduation requirements. View the College Catalog. A community college is a public institution of higher education. Community colleges offer a two-year curriculum that leads to either the associate degree or transfer to a four-year college. The transfer program parallels the first two years of a four-year college. The degree program prepares students for direct entrance into an occupation. Because of their low tuition, local setting, and relatively easy entrance requirements, community colleges have been a major force in the post-World War II expansion of educational opportunities in the United States. They are sometimes referred to as junior colleges. A course or course of study required to be taken simultaneously with another course. Total number of semester credit hours a student registers for during a semester. Process through which a student removes a course(s) from his/her schedule. A student must meet with their advisor to withdraw from a class. Units acquired for completed coursework that apply toward a certificate, diploma or degree. Generally, credit hours for a course are directly equivalent to the number of weekly classroom contact hours. The head of a faculty division. A one-year educational program that prepares students for entry into their career field. Process by which a student whose academic performance indicates little chance of obtaining the minimum grades required for graduation. Dismissed students are no longer allowed to enroll at the college. Any form of learning in which the instructor and student are geographically separate (e.g. Iowa Communication Network (ICN) or web-based instruction). Students earn dual credits for classes that meet both high school and college requirements. Dual credit courses are taught in high school, at local colleges and through distance learning. Courses that students freely choose to complete their diploma or degree. FAFSA is the acronym for Free Application for Federal Student Aid. This application is the first step in the financial aid process. FERPA is the acronym for Family Educational Rights and Privacy Act. This is a federal law that protects the privacy of student records. Financial aid helps students and their families pay for expenses at eligible colleges, universities, and career schools. Aid is either “Gift Aid” (e.g. grants, scholarships, sponsorships) or “Self-Help Aid” (e.g. work-study, student loans). Grants are financial aid, often based on financial need, that do not require repayment (unless, for example, you withdraw from school and owe a refund). The primary application for grants is the FAFSA (Free Application for Federal Student Aid). Check with the financial aid office about applicable priority deadlines. The PLUS loan is a non-need-based loan for parents of dependent students. The amount available is the cost of attendance (as determined by the school) less other aid. PLUS Loans are borrowed directly from the U.S. Department of Education and require a credit check. Repayment begins within 60 days of full disbursement of the loan. All loans must be repaid. Consideration for this loan requires the submission of a FAFSA (Free Application for Federal Student Aid). A loan based on financial need for which the federal government pays the interest that accrues while the borrower is in an in-school, grace, or deferment status. If the interest is not paid during the grace period, the interest will be added to the loan’s principal balance.Consideration for this loan requires the submission of a FAFSA (Free Application for Federal Student Aid). Subsidized Student Loans are borrowed directly from the U.S. Department of Education. Students must meet eligibility requirements including at least half-time enrollment. Repayment begins six months after the student graduates, withdraws, or drops to less-than-half time status. All loans must be repaid. Unsubsidized loans are non-need-based loans borrowed directly from the U.S. Department of Education. The borrower is responsible for paying the accrued interest on this loan regardless of the loan status. Interest on unsubsidized loans accrues from the date of disbursement and continues throughout the life of the loan regardless of the student’s enrollment status. Consideration for this loan requires the submission of a FAFSA (Free Application for Federal Student aid). Students must meet eligibility requirements including at least half-time enrollment. Repayment begins six months after the student graduates, withdraws, or drops to less-than-half time status. All loans must be repaid. Work-Study is a federal student aid program that provides part-time employment while you are enrolled in school to help pay your education expenses. It is a need-based program determined by the FAFSA. Students typically work 6 – 8 hours per week to earn up to the amount of their award. Consideration for Work-Study requires the submission of a FAFSA (Free Application for Federal Student Aid). No repayment is required. The number of Work-Study positions is limited and employment is not guaranteed. Acronym for Grade Point Average. Students who have early grade problems can improve their grades. However, this can be difficult to do. Advanced placement credits and study abroad courses generally do not count in the computation of a student’s GPA. Some employers use GPA cutoffs in considering applicants. Other employers stress the student’s overall background: experience, hours worked during the school year to finance college, leadership activities, etc. We encourage students to make academics a high priority in the first semester of freshman year. Nevertheless, it is important to remember that it may take time to adjust to the rigorous academic demands of college. Courses having primarily a cultural nature such as art, philosophy, history, music, English and foreign languages. The Iowa Communication Network is the country’s premier fiber-optic network. ICN is committed to continued enhancement of distance learning. ICN provides Iowans with convenient, equal access to education and government. The Network makes it possible for Iowans, physically separated by location, to interact in an efficient, creative, and cost-effective manner. Through partnerships with education, medicine, the judicial system, government agencies, and the National Guard, ICN brings live, full-motion video to 744 school classrooms, National Guard armaries, libraries, hospitals, and federal and state government offices. ICN services include video over IP, voice and high-speed data. An incomplete grade is assigned if students do not complete assigned work during the semester due to extenuating circumstances. A student who is not a citizen of the United States and who enters the United States on a temporary basis to enroll in an educational institution. Student who has not established status as a resident of Iowa as defined by these guidelines. 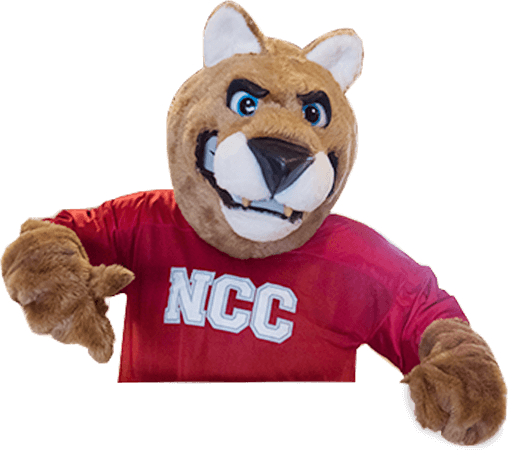 Orientation is an event that familiarizes new students and their parents with NCC’s facilities, policies, procedures and the financial aid process. During Orientation, students develop schedules and register for courses. Any student enrolled at the College who carries a course load of less than 12 credit hours during Fall and Spring semester, and less than 6 credit hours during Summer term. A federal grant for undergraduate students who demonstrate financial need. Consideration for Pell Grant requires the submission of a FAFSA (Free Application for Federal Student Aid). No repayment is required. Effective on July 1, 2012, students can receive the Federal Pell Grant for no more than 12 semesters or the equivalent (roughly six years). The unauthorized use or close imitation of the language and thoughts of another author and presenting that material as one’s own original work. Plagiarism can result in failure of the course. Course(s) or condition(s) required before enrollment in an advanced course. A warning to students who fail to maintain a semester and/or an overall grade point average of 2.00 or better. Failure to improve the academic record within a specified time may result in academic suspension. See also Financial Aid: Warning Status. The college office that plans and oversees registration activities, academic record maintenance, transcript preparation, and degree audit systems. The process of class enrollment for a specific term that takes place after the admissions process. Course or condition that must be fulfilled as part of a particular program. Courses that must be taken in a definite order. Prohibits students, during the period of suspension, from: being initiated into an honorary or service organization; entering College property except in response to a request from the College; and registering for either credit or noncredit courses throughout the College. See also Financial Aid: Suspension. A summary of the main points of a course’s texts, lectures, and/or process. Technical or vocational education prepares students for jobs related to a specific trade, occupation or vocation, hence the term. Sometimes referred to as technical education since the learner directly develops expertise in a particular group of techniques or technologies. 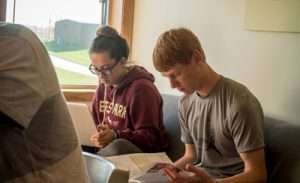 Students attending Northwest Iowa Community College who are single, without children, and are recent high school graduates. Any official copy or reproduction in electronic or paper form, of a student’s record in school or college. The transcript typically lists courses, credits, grades, and co-curricular activities. A person who provides academic assistance in a particular subject or program. A term that applies to college freshmen, sophomores, juniors and seniors who pursue the baccalaureate (bachelors), associate, diploma, and/or certificate program completions.